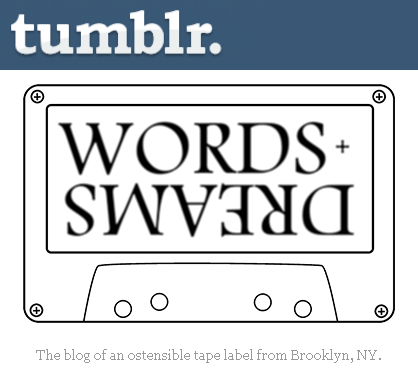 Words+Dreams: Follow W+D on Tumblr / New website coming soon! Follow W+D on Tumblr / New website coming soon! The W+D presence on the web will be relaunching soon with a brand-new, excitingly-non-Blogger layout, and with it will come a new release, several limited edition re-releases, and a whole spate of tapes coming for the second half of 2013. In the meantime, check out the new W+D Tumblr, spin some of your other W+D tapes, enjoy the weather, and sit tight for the big re-launch announcement!